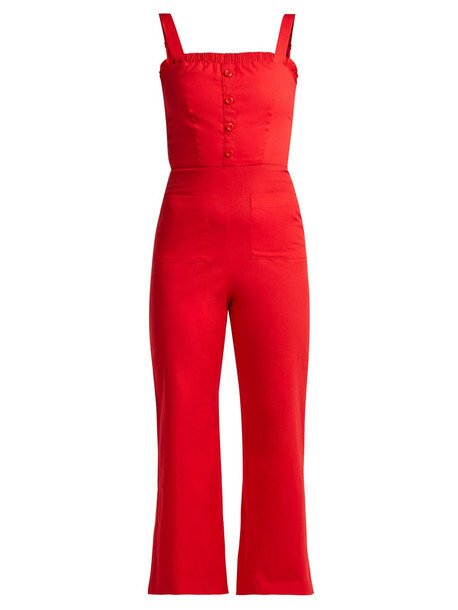 Staud's red Sofia jumpsuit exudes feminine charm - an overriding theme throughout the label's archives. It is cut from cotton-poplin that is blended with a touch of stretch for optimum comfort. Shaped with slender shoulder straps it has a ruched bodice trim darted waist and cropped legs. Wear it with a bucket bag and mules to channel a contemporary update on a 1950s-inspired look.